Instructions on how to enter this competition form part of the conditions of entry. By participating, entrants agree to be bound by these conditions. 1. 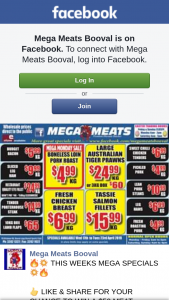 The promoter is Microsoft Pty Limited (ACN 002 589 460) of 1 Epping Road, North Ryde, New South Wales, 2113 (the “Promoter”). 2. The competition commences at 9:00 AM AEST on 23 November 2017 and closes 9:00 AM on 14 December 2017 (“Promotion Period”). 3. Entry is open to Australian residents 13 years and older. Entrants under 18 years old must have parental/guardian approval to enter and further, the parent/guardian of the entrant must read and consent to all terms and conditions. Parents/guardians may be required by the promoter to enter into a further agreement as evidence of consent to this promotion. Employees and their immediate families of the Promoter, its retailers, suppliers and associated companies and agencies are not eligible to enter. c. Post a photo in the comments of the timeline post pinned to the top of the Microsoft Store AU Facebook page (www.facebook.com/microsoftstoreaust…) answering the Entry Question: “Capture a creative photo of your Xbox Holiday ornament which shows your love of gaming!” The photo must be posted so that it is received during the Promotion Period (Entry). 5. Entrants may enter the Promotion one time during the Promotion Period. 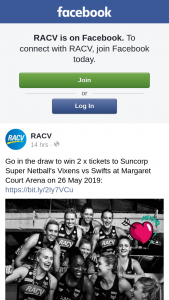 Entries will be deemed invalid if they are not posted as Public on Facebook. Entries are deemed to be received at the time of receipt into the Promotion database. The Promoter is not responsible for any delay in, or failure of, transmission which causes an Entry not to be received within the Promotion Period. 6. The Promoters reserve the right to verify the validity of entries and to disqualify any entrant whom the Promoter believes either has tampered with the entry process or has submitted an entry otherwise than in accordance with these conditions of entry. 7. Incomplete, indecipherable or illegible entries will be deemed invalid. Any incorrect details submitted may render the corresponding entry invalid. 8. All valid entries received during the Promotion Period will be reviewed by the judging panel. This is a game of skill and chance plays no part in determining the winners. Each entry will be individually judged based on the originality and creativity of the photo submitted in response to the Entry Question (“Judging Criteria”). 9. The entry deemed to be the best by the judging panel in reference to the Judging Criteria will win one gold Xbox Holiday ornament valued at $10,550 AUD excluding GST. 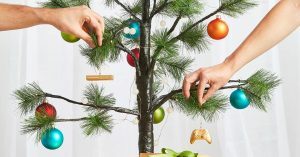 The second best entry will win one gold Xbox Holiday ornament valued at $5,450 AUD excluding GST. Prizes are not exchangeable, transferable or redeemable for cash. 10. The winners will be chosen by the judging panel on Friday 15 December 2017. 11. The winners will be notified via Facebook direct message by Friday 15 December 2017 and have until Friday 22 December 2017 to respond. 12. Winners will be required to provide their name and postal address in Australia upon confirmation of winning. The prize will be dispatched to the confirmed postal address within five (5) business days of the winner confirming their details. 13. If the promoter is unable to supply the nominated prize, the promoter reserves the right to supply another prize of greater or equal value. 14. All entries become the property of the promoter. The promoter’s decision is final and no correspondence will be entered into. No responsibility is accepted for entries not received by the promoter. Entries will be deemed invalid if stolen, forged, mutilated or tampered with in any way. 15. Entrants warrant that their entry in the competition does not infringe the intellectual property rights of any third party. The entrant indemnifies and will keep the promoter and its associated agencies indemnified against any loss, costs (including legal costs), expenses or liability the promoter and its associated agencies may suffer arising out of a breach by the entrant of this clause. b. Digital displays at Microsoft Flagship Store at Westfield Sydney, 188 Pitt St, Sydney NSW 2000. 17. The stated prize value excludes GST in Australia as provided by the supplier and is correct at the time of printing. The promoter accepts no responsibility for any variation in the value of the prize. The promoter and its associated agencies and companies accept no responsibility for prizes damaged or lost in transit. 18. In the event that a prize is not claimed by Friday 22 December, the judges will select an alternate winner on the basis of the Judging Criteria. In the event that the alternate winner does not claim their prize within 1 week of being notified, then the prize will be forfeited by the winner and neither cash nor any other prize will be awarded in lieu of that prize. 19. If any winner is under the age of 18 years, the prize will be awarded to the winner’s nominated parent or guardian on their behalf. 20. Any costs associated with entering the competition, visiting the Microsoft Store or accessing Facebook are the responsibility of the entrant. 21. Failure by the promoter to exercise any of its rights contained within these terms and conditions at any time does not constitute a waiver of those rights. 22. These terms and conditions do not, nor do they purport to, limit, exclude or modify any non-excludable statutory guarantees as provided under the Competition and Consumer Act 2010 (Cth), or any other warranties (whether express or implied) under any state or federal legislation which cannot be excluded. 23. Except for any liability that cannot by law be excluded, the promoter (including its respective officers, employees and agents) excludes all liability (including negligence), for any personal injury; or any loss or damage (including loss of opportunity); whether direct, indirect, special or consequential, arising in any way out of the promotion or use of the prize. Entrants agree to follow any safety precautions or instructions that accompany the prize. 24. To the fullest extent permitted by law and without limiting any other conditions of entry, the promoter may, in its discretion, terminate, modify or suspend the promotion. All entrants participating in the promotion at the point of termination, modification or suspension of the promotion will be notified by the promoter in writing. In the event of modification or suspension of the promotion, the entrant may choose to terminate their participation in the promotion at no cost. 25. The promoter assumes no responsibility, and the entrant releases the promoter from responsibility, for any failure to receive an entry or for inaccurate information or for any loss, claim, damage or injury to person or property (including computer systems and servers) as a result of the entrant’s participation in this promotion or the conduct of the promotion generally or as a direct or indirect result of an entrant’s error, any technical problem (including communications or network failure, unauthorised access to, transferral of, or theft of, data), whether caused by the entrant, or associated with the equipment or programming used in the conduct of this promotion. If, because of any such problem, this promotion is not able to be conducted as planned and/or the promotion’s administration, security, fairness or integrity are compromised or affected, the promoter may cancel, terminate, modify or suspend the promotion and/or disqualify any entrant involved in interfering or tampering with the conduct of this promotion in any way. 26. 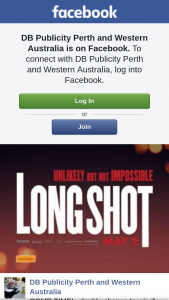 This promotion is in no way sponsored, endorsed or administered by, or associated with, Facebook. 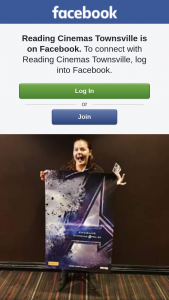 The entrant releases Facebook from all liability in relation to the promotion. 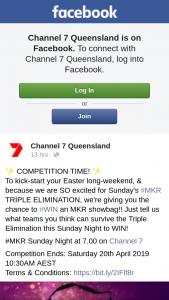 The entrant is providing information to the promoter and not to Facebook.